As we get closer to the backside of 2015, we have noticed a few trends in kitchen esthetics this year, especially within the new construction homes that we sell throughout the Brookhaven and Atlanta areas. 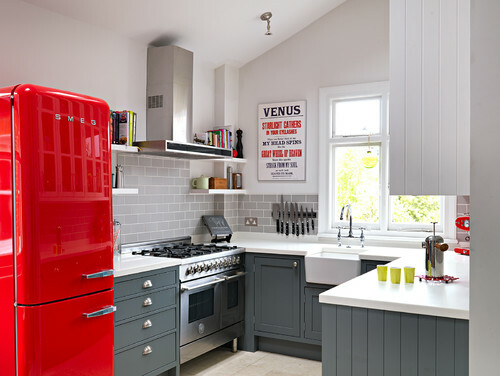 These kitchen trends will likely extend to 2016 and far beyond, as they don’t show signs of their popularity waning any time soon. This trend is showing no signs of slowing down. Traditionally on the uppers, the concept of open shelving is perfect to stack and display your most decorative dinnerware or even a collection of cups and saucers. Don’t let this trend scare you – even if you don’t have the perfect set of china – think function over form on this one! Perhaps we should call this transitional? 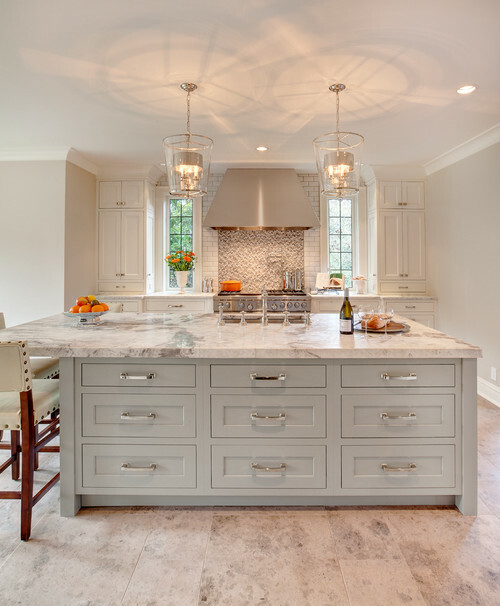 The marriage of traditional styling with modern elements like marble or quartz countertops with structured cabinetry and wood elements drive this trend. Gray, Gray and more Gray! 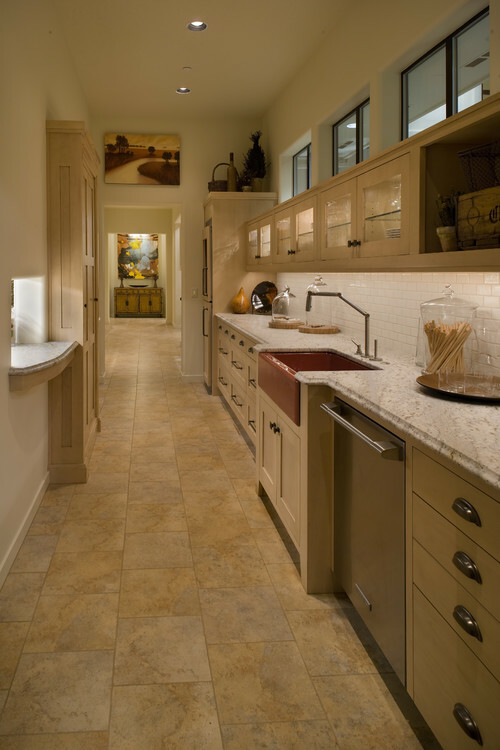 While beige isn’t completely out in homes, it’s certainly not the most popular color. 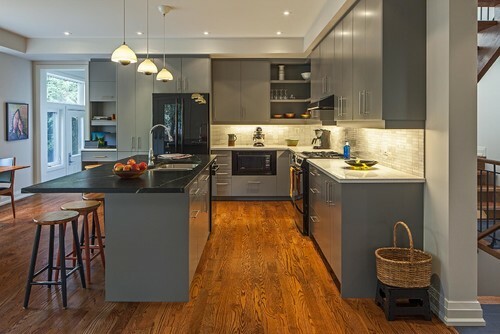 Homeowners and builders are ditching kitchens full of traditional stained cabinetry for either full kitchens of painted cabinets in hues of gray or hints of gray as accents. 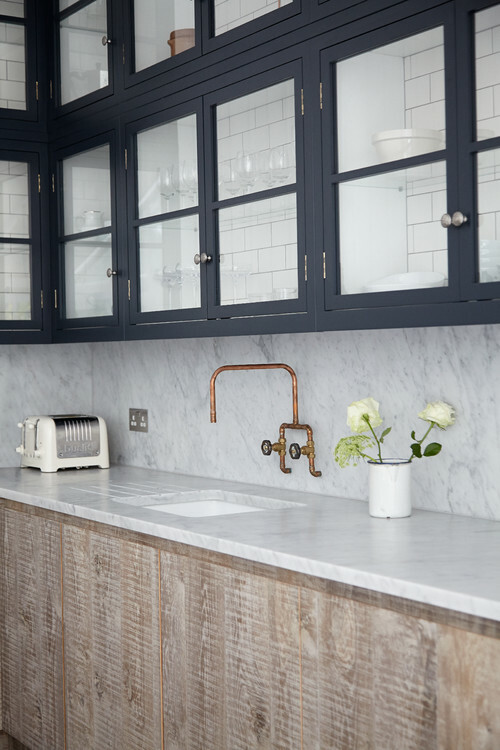 Kitchen walls, backsplashes and even the resurgence of wallpaper is continuing this trend with a mixture of white and gray tones to create a more modern feel. 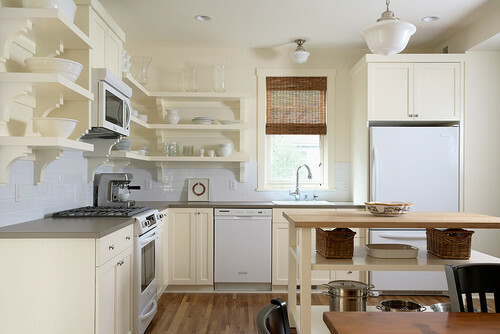 Texture isn’t just for cabinetry in the form of moldings anymore – it’s for designing the kitchen of your dreams. Think tile backsplashes that make a statement, cabinetry made from planed reclaimed lumber, concrete countertops and even texture and patterns designed on kitchen ceilings. Contemporary Kitchen by Lake Oswego Interior Designers & Decorators Ronda Divers Interiors, Inc.
Go big. Go bold. Nope… we aren’t talking about wall color or even countertop accents. We are talking sinks and even appliances! The farmhouse sink in your favorite hue just might replace it’s stainless steel counterpart of last year. Color is in – why not!? !